Hoop earrings, oval in shape are hammered and textured just enough for a unique, handcrafted finish, measuring 28mm (1 7/64") in width and 35mm (1 3/8") long, these earrings are polished to a brilliant shine. 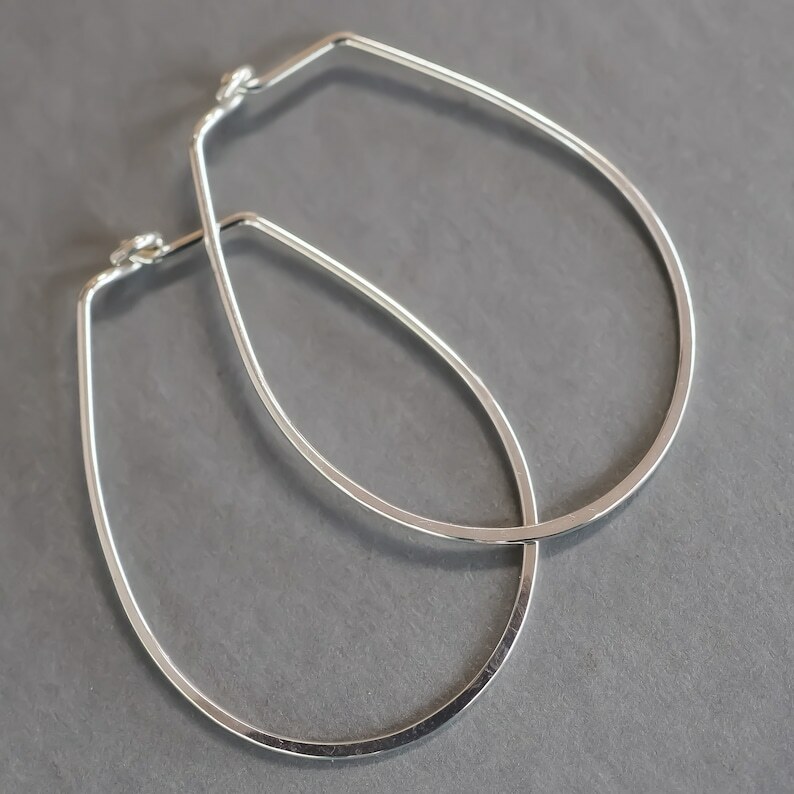 Oval Hoop Earrings. Sterling Silver. Hammered Hoops. Minimalist Jewellery. Polished Silver. Arrived super quick, really beautiful earrings. Lovely earrings and friendly, prompt service! Sterling Silver Hoop Earrings. Minimalist Boho Eco. Hammered Oval Everyday Wear. Polished Handmade Jewelry Jewellery.